Today marks one year since my completion of the Oregon Coast Trail (OCT), a 367-mile journey the entire length of the Oregon coast. A year ago, I hiked 14 miles from Gearhart to Fort Stevens with my dad to complete my south-to-north journey on the Oregon Coast Trail. A year ago, I stood at the South Jetty Observation Tower in Fort Stevens State Park with my parents, overlooking the confluence of the mighty Columbia River and the Pacific Ocean. A year ago, we had a meaningful yet quiet celebration before I unceremoniously fell asleep on the couch around 8 pm in our hotel room. A year ago, I felt that I had both completed and begun something. Accordingly, I was hoping that this anniversary would bring a renewed sense of pride and an opportunity to reflect upon a year well-spent. My feelings on the matter, however, are much more complicated. I will be bluntly honest: I have cried a lot today and yesterday. I feel like I wasted the fitness I had built up on the trail. 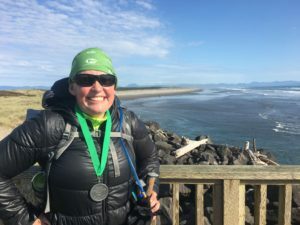 I had originally planned to run a marathon in late 2017, and to backpack a lot. I didn’t. I feel devastated that I have STILL not found a job, nearly a year after interviewing at a nonprofit that I used to fastidiously volunteer for. It was May 10, 2017. I remember because I had to rush back from long-overdue family time on the coast for an early morning interview slot that they insisted upon. I found out during the interview itself that it wasn’t going to work out. Job hunting since then has been fruitless and discouraging. Above all, I feel like I should be stronger than this. Wasn’t my time on the trail supposed to be about healing and getting myself ready to face my life again? What is with all this crying and metaphorical paralysis? 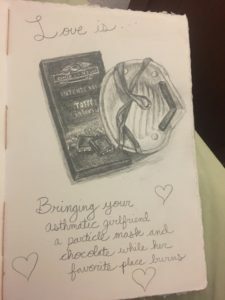 What will it take to get me to feel functional and capable again? Some of this speaks to the post-trail blues that many thru-hikers face. Finding a new path, and finding success on it, can be daunting after putting your heart and soul into a singular goal for so long. Then you have to factor in the loss of the daily endorphin boost of hiking several miles with a huge pack – and, in the case of the OCT, no longer hearing the daily exhalations of waves and wind, which were a balm for my seething thoughts. In contrast, the city is loud, jarring, and not at all like the small towns and secluded campsites of the trail. It also felt so odd to return to a closet bursting with clothes, after spending 45 days with two outfits. Accordingly, I have pared down my possessions and sold or donated a lot of clothing and extraneous items. Similarly, it feels odd to be in a spacious apartment after tents and tiny homes and cheap motel rooms. I am thankful to have my own space, but it feels strange nevertheless. It has taken me a while to adjust, and honestly I don’t know if I will ever fully reintegrate into city life. Part of me is still on the OCT. Some of my discontent runs deeper – actually, no, shallower. Definitely shallower. I have realized that, shamefully, I wish I could keep adding to my metaphorical trophy case. It’s a bit of a let-down to not have a litany of stellar accomplishments from the past year to point to on this anniversary. But what the hell is the point of that? The whole point of a thru-hike, and the whole point of anything of substance, is not to check a box and say “I did that!” The point is to immerse oneself in the journey and to learn deeply from it. And the biggest learning opportunities are the ones that you don’t plan for. Perhaps that’s what this past year has been trying to teach me. Indeed, I didn’t just lose my post-OCT fitness through sloth. I was excitedly running and hiking better than I had in a couple of years… until I sprained my ankle badly last June. I remember that crushing moment, panting from the pain, sitting on a rock next to my boyfriend while I mustered the energy to shuffle the final mile back to the car. In spite of my high pain tolerance, it felt almost unbearable. I was convinced that I must have broken my ankle. It was a relief to discover it was merely a sprain, but it still was a long road back from that injury. And of course, when it finally felt strong again, I sprained the other damn ankle. Just my luck. I have also been slowed by gastrointestinal issues (which fortunately turned out to NOT be parasites from my trip), headaches, nausea, horrific depression and anxiety, and, most recently, random ovarian pain that forced me to spend a couple of days curled into a ball. It has not been an easy year for me, physically or mentally, and as much as I wish things were different, I consider myself lucky to still be here. My depression and anxiety were really that bad for a while. In that context, I feel silly for lamenting my weight gain and my lost fitness – which, of course, are not one and the same, as I explain here. I should focus on being thankful for surviving – and for those who helped me to pull through. My wonderful boyfriend in particular has been there through all the ups and downs of this year. He helped me to get through the worst depressive downturns, to take care of me when I was ill, and to smile (a bit) when the Eagle Creek Fire tore through my favorite place on Earth. I feel so lucky to be with someone so caring and kind. When my health allows, I also have been slowly but surely trying to find a job. I recently had an interview again – my first in nearly a year. I feel a glimmer of hope again. As a stop-gap, and as part of the fulfillment of a longtime dream, I founded my own greeting card brand in fall 2017, Borderline Cards. It’s been an enjoyable and fulfilling endeavor, not the least because it has gotten me back into the habit of drawing regularly. But it was also somewhat born of my diminishing trust in my ability to ever find a job. It’s also been a struggle to trust people. And perhaps not many deserve my full trust. Perhaps that has been my mistake before. Accordingly, I have been paring down my inner circle since I completed the trail. I am done with expending more emotional energy and effort than I get in return. In turn, that gives me more time and energy to dedicate to those who deserve it. I have made a point to focus on the people who bothered to be part of my journey, and who generally give me as much as I give them. Indeed, on this anniversary, I am reflecting gratefully upon everyone who was part of my journey on the OCT. It took time, effort, some unintended side effects (like trench foot, and the death of a cell phone), planning, caring, and commitment to make that happen, and I am very grateful for all of your contributions. Thank you, Dani, Aaron, Steph, Rosemary, Charissa, Joe, Stacey, Susan, Mom, and Dad. 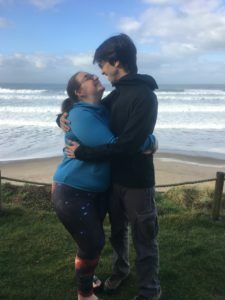 And again, I feel so thankful for the beautiful relationship that my boyfriend and I have built over the past year, which has its roots in the OCT. 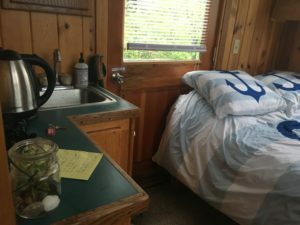 When Aaron joined me for a weekend on the southern coast, we felt something beginning. We got together shortly after I returned from the trail, and we will be celebrating our first anniversary later this week. Aaron has always been a dear friend, and became my rock during the horrible winter that drove me to do the trail in the first place. He joined me on a portion of my journey on the OCT, and stayed in touch with me throughout the rest of my trip. He has always been a calm, consistent, kind, and humorous source of support. (And to be clear, we do have a lot of fun together! I’m not always a crying mess!) I am truly grateful for, and humbled by, his love. This anniversary of my completion of the OCT marks a year of unexpected events. Many were – and are – ugly and frustrating. But the truly beautiful surprises – including my relationship with the sweetest person I have ever met – are better than anything I could have planned. And that’s the thing: Life unfolds as it sees fit, and all we can do is embrace the good that it gives us. You don’t have a right to the cards that you think you should have been dealt. You have the obligation to play the hell out of the ones you are holding. And my dear, you and I were granted a mighty generous hand. Banner Image: Two people who look suspiciously like me and my boyfriend embrace in a burnt forest. Image drawn by yours truly. 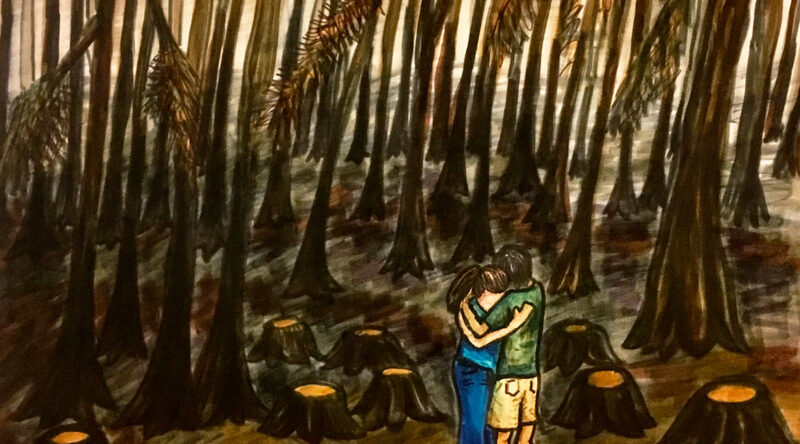 The Eagle Creek Fire was another devastating loss in the past year, and like everything else we’ve faced together, my boyfriend and I helped one another to stay strong through it.